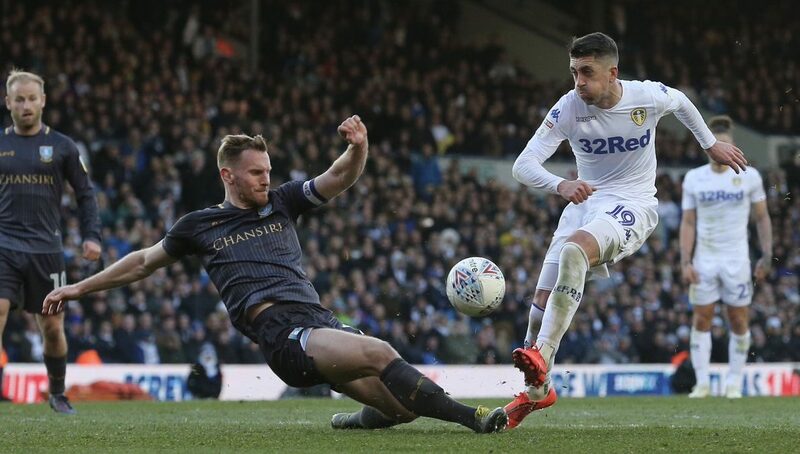 It has felt (in recent games) that Pablo Hernandez is dragging Leeds towards promotion with the same single-minded focus that Ross McCormack used to drag Leeds away from relegation. When the right moments aren’t falling your way it takes special players to grab the game by the scruff of the neck and make it happen. 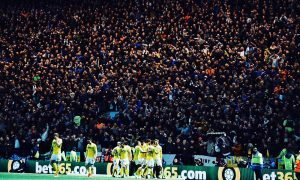 This was evident against West Brom – before the fixture even knew what it was, Hernandez had rifled a shot into the top corner to put Leeds in the ascendency. Sheffield United was a bad day at the office, but the Millwall game that followed was essentially the Pablo show (the player receiving a rarely awarded 10/10 on WhoScored), bagging two goals and driving Leeds to a crucial 3 points when they had trailed twice. In fact, Hernandez has been such a critical player for Leeds (and such a joy to watch) that the footballing world has been rather incredulous that the EFL managed to leave him out of their Team of the Year award. In the league Hernandez has 12 assists and 12 goals. That is some return for a player just turned 34. But moreover, Pablo dictates play and creates opportunity from nothing – he’s a remarkable talent. It has felt, at times, like this promotion-chasing campaign is being carried by senior players stepping up. Roofe and Bamford offering goals, with Klich finding form, Ayling returning to his best, Pontus and Cooper being domineering figures in defence… Even bringing in the more senior Casilla as a remedy to BPF’s junior frailties furthered the perception that youth might be handy for energy, but it’s the intelligent heads that have carried this Leeds squad forwards. But the Sheffield Wednesday game yesterday showed how wrong that really is. This Leeds squad is a beautiful synergy of young and old. For me, the two best players on the pitch yesterday were Kalvin Phillips and Tyler Roberts – both arguably in their defining break-through seasons. Phillips (the Yorkshire Pirlo, as the chant goes) has been the single player that makes the Bielsa system works. A defensive midfield pivot point around which everything moves. We were led to believe the Saiz playing Enganche was the key role in this formation but we’ve since learned that it’s Kalvin. In a 3-3-1-3 formation he’s the roaming centre-back, driving out from the back and distributing the ball. In a back-four he’s the shield in-front of it, operating with width and freedom to tackle problems before they really occur. Tyler Roberts is, for me, showing why Leeds were so keen to buy him. Someone on Twitter said that he “has a look of the Sterlings about him” and that’s probably not an unfair comparison, albeit one with perhaps too much expectation. Every game we’re seeing Roberts look that bit sharper, than bit more intelligent, that bit more confident. He’s not playing in his desired position and he’s spent so much of this season injured, yet we’re seeing tangible improvements every 90 minutes. He’s finally doing what Saiz used to do – he’s picking up the ball and moving it forwards. He’s linking up with his peers in clever little flicks and back-heels. He’s doing unexpected things and he’s winning us points. He was responsible for laying the Millwall winner on a plate for Pablo and he made two lovely assists against West Brom. Unquestionably, we’ve not even seen the best of him yet. But more crucial than all of this is the league table. 4 games to go and Leeds have now created a 3 point gap between 2nd and 3rd. If Wigan can get a result at Norwich today (though there’s probably less than a 1% chance of that) we might be entering the bank holiday weekend with 3 points between us and 1st, and 3 points between us and 3rd. It’s exciting, stressful and I still wouldn’t dare put a bet on how this is going to end. Marvellous. Marcelo, I love you. However this ends.